Announcement Thanks for stopping by Zia Findings! FLAT RATE Shipping on any order, no matter the size or weight! We are shipping our Laser engraved charms in 1-3 business days! All other items ship in 1 business day! Find more info about us and our shop, and a cool video of our laser engraver, in our About section! Feel free to message us with any questions via Etsy Conversations, and we will get back with you right away! Thanks for stopping by Zia Findings! Always a pleasure to work with and always a wonderful quality with fast shipping. I can't recommend them highly enough! I love these! They are a little hard to read, but they are beautiful, shiny and elegant looking on my charm bracelets I make! NEW video has been posted to our About page! Check it out to see our engraver in action! Our laser engraver in action! Our inventory boxes for our jewelry supplies! Each order is carefully packaged in our custom bubble mailers! Our fur babies, Abby (right) and Snickers (left), we love them so much! Video summary: Keep scrolling to find the video of our engraver in action! Thanks for stopping by our About page! We are Jared and Tayler, and this is our shop, Zia Findings! 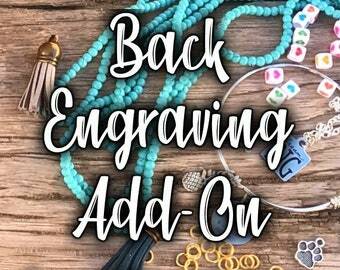 We were drawn to selling charms and jewelry supplies on Etsy because we were buyers ourselves and loved all the fun things you can make with them to give as gifts! At the beginning of 2017, we decided to take that leap of faith and purchase our first laser engraver. Now in 2019, after two long years of hard work mastering our skills and efficiency with our lasering process, we run 3 engravers (with the help of our niece, Raevenne) and couldn’t be happier with our small business! We came for the charms, but we now stay because of the great support we receive from you, our customers! We love seeing all the beautiful jewelry you craft with our supplies and are thankful to supply our charms to those who order to make small gifts, those who order wholesale and resell finished products, and everyone else in between! We wouldn’t be able to do what we love without you, and for that, we truly thank you! All of our charms and jewelry supplies are created from very high quality metals and materials! Our laser engraved charms are made from an industrial 304 Stainless Steel that is guaranteed not to tarnish, hypoallergenic, and polished to a mirror finish on both sides (and all edges) of the charms! Our other metal supplies are created from non-toxic alloys that are lead and cadmium free, and nickel safe! 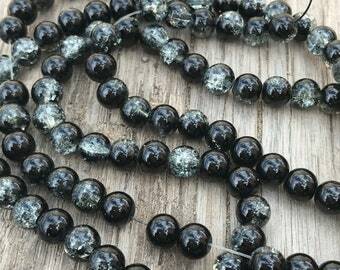 All other non-metal jewelry supplies are created with the same care to quality and your health! Our laser engraved charms are engraved by us here in New Mexico, USA! Be sure to check out our video above to see the laser in action! Our lasers are very powerful and can burn directly into our stainless steel charms without the need of any aerosol paints or chemicals. The end result brings out the dark tones of the metal, making the engraving on the charms clearly legible in any light! We hope to grow ZiaFindings into your one-stop jewelry makin' shop for gifts and wholesale jewelry supplies! We met in college while playing sports for our school. After we graduated, we decided to move close to Tayler’s family, and we now reside together in Los Lunas, NM. Our fur babies, Abby and Snickers, complete our little family, but we do hope to have children of our own someday! We both spend all of our time operating Zia Findings, and we are so grateful that we get to work together! We appreciate everyone's support, and we wouldn’t have been able to do this without God’s help. If you have any questions, feel free to send us a message via Etsy Conversations! Raevenne is a big help with assisting us with engraving all of your lovely charms! She now operates her own engraver so now all 3 of us can engrave charms at the same time and get orders out more efficiently! We are excited to have her on board! Our fur babies, Abby and Snickers, are excellent help at getting us through the day! We are currently shipping our laser engraved charms in 1-3 business days (larger orders may take longer)! Our other items ship in 1 business day! If you are in the US, it takes about 2-4 business days (depending on your location and shipping method) to receive your package after we ship it off. We ship from New Mexico, USA! During checkout, you will be able to select Priority Mail in the drop-down menu and the price will be shown. USPS Priority will arrive usually in 2-3 days (depending on your location) and includes insurance up to $100. We take great pride in offering only the safest charms available. 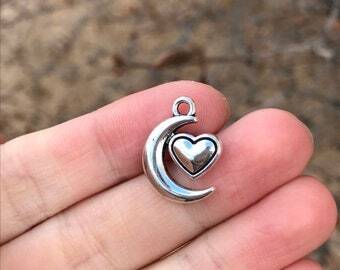 All of our charms and supplies are made from either hypoallergenic stainless steel, metal alloys that are lead and cadmium free and nickel safe, or other materials that are completely safe for everyone to enjoy! Are any of your charms in violation of copyright infringement? We love to continue to grow our vast selection of charms and findings. However, we also take copyright laws very seriously. We be sure to guarantee that any charms for sale on our shop are not violating any copyright or trademark designs from any company or individual. If you do happen to find a charm that you believe is in violation of your copyright design, please message us and we will work with you to remove the design from our shop and from our supply source as well. Do you laser engrave and takes photos of the charms yourself? We have our own laser engraver we operate ourselves right here in New Mexico, USA! Check out our video on our About page to see our laser engraver in action! All of our photos are taken by us as well! We use Tayler's (small) hand to model the size of the charms and try to keep it as simple and straightforward as possible. We will charge sales tax if you live in New Mexico, or if your state requires sales tax to be taken out by Etsy. This will be added on to your total amount (including shipping). How can I keep up with the new listings and discounts?